How did Fr. Dolan respond to these accusations? He replied with his own letter in which he rightly declared that Fr. Kelly had no authority to determine whether his priestly ordination was validly, since such a private judgment usurps the Church’s judgment, which alone is competent to decide such matters. You read that correctly. 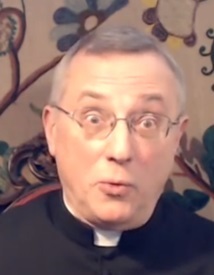 The Sedevacantist clergyman Dan Dolan admits that the Church alone is the competent judge concerning the validity of his ordination, yet, at the same time, Dolan believes he possesses the authority to decide (by private judgment) whether the man, who was elected Pope according to the laws of the Church and who is recognized as Pope by the Church, is, in fact, a true Pope. This is yet another example of the astounding hypocrisy and double standards we find in the Sedevacantist movement. Here we have a Sedevacantist cleric admit that the determination of whether he is a true priest is a question of fact that must be “decided” by “the Church” and not private judgment, which is completely contrary to his Sedevacantist position, which maintains the private judgment determines the “facts” concerning whether the conciliar Popes have been true Popes. While the validity of Dolan’s ordination under the traditional rite is indeed a question of fact, which only the Church has the authority to judge, whether the conciliar Popes are heretics is also a question of fact which only the Church has the authority to judge. In both cases, “the Church, not Frs. Dolan, Kelly or Cekada, etc. investigates and decides the facts,” and then renders her legal decision based upon those facts. We could not have said it any better. This real life situation is helpful because it also illustrates the distinction between a question of fact (was Dolan ordained with one hand or two?) and a question of law (is a one-handed ordination invalid?). As we demonstrated in our recent feature on Mario Derksen, this is a distinction that Sedevacantists consistently overlook, as they try to make their position solely a “question of fact” (is the Pope a heretic? ), discerned by their own private judgment. 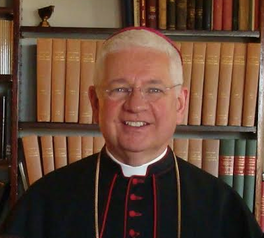 Although Dolan responded to Kelly primarily on the ground that he didn’t have the authority to judge a question of fact (which is true and alone defeats the Sedevacantist position), Dolan’s ordination also involves a question of law (whether a one-handed ordination is valid) of which the Church alone is the sole judge. St. Thomas, Fr. Ballerini, Bouix, etc.). Dolan also accused Kelly of shady and even deceptive research tactics, after he took the time to look up the sources that Fr. Kelly cited. Fr. Kelly had claimed that these authorities maintained that a one handed ordination is doubtful. Guess what Dolan discovered when he looked up these sources for himself? He discovered that they do not actually teach what Fr. Kelly claimed! That is no surprise for us. While we do not take up the question of whether the imposition of one hand suffices for ordination to the priesthood (that question of law can only be resolved by the Church), we find it very interesting that Fr. Dolan himself discovered precisely what we ourselves found while writing True or False Pope?, namely, that Sedevacantist writers (both clergy and laity) consistently misquote their sources and misrepresent the author’s actual positions. investigating the writings of the Sedevacantist apologists! Can a better explanation (by a Sedevacantist!) be given of the modus operandi of Sedevacantists, who sit in private judgment over the Popes? Not to mention their private judgment and public declarations concerning the validity of the new rite of episcopal consecration, which Fr. Cekada has publicly declare to be null and void. While Dolan rebuked Kelly for concluding that a one-handed ordination is invalid based upon his personal reading of theologians, Dolan and his colleagues do exactly the same thing in their judgment of the conciliar Popes (and the new, post-Vatican II rite of episcopal consecration). They personally interpret their theology manuals, decide which theological opinions they will accept, and then make judgments of theology and law that are reserved for the Church alone. They “then proceed to condemn the victim outright,” not only those who were ordained and consecrated according to the new rites, but also elected by the Church as the Vicars of Jesus Christ! Fr. Dolan accurately describes the tactics used by Sedevacantists, who “find a sentence or two in a book by a theologian or canonist,” only to “twist its meaning, and strain it to apply to their victim’s actions.” Our book True or False Pope? shows this in spades with their mistreatment of St. Bellarmine, who said “the manifest heretic is ipso facto deposed,” but at the same time condemned the deposition of heretical Bishops by private judgment. The Sedevacantists’ root error regarding this point is a failure to understand the distinction between the Church’s determination of the crime (question of fact), and the speculative question of when and how a heretical Pope would lose his office after the Church’s determination (question of law). The ipso facto loss of office does not occur until the Church itself establishes the fact. While Dolan accused Kelly of deceptive tactics, he should have accused Kelly of usurping the Church’s authority to judge this question of law in the first place, just as he rightly accused Kelly of usurping the Church’s authority to judge the question of fact. The Church alone – and not unbalanced, vigilante Sedevacantists – is the final judge of such questions of law and theology, just as she is the final judge on the question of fact. Moreover, questions of law must first be resolved by the Church before they can be applied to the facts of a case, whether in secular or ecclesiastical jurisprudence. Of course, whether and how a Pope would lose his office for heresy is such a “question of speculative theology” (which has never been decided by the Church), just as is the question of whether the imposition of one hand suffices for priestly ordination. What this shows is that the leading Sedevacantist clerics of our day, by their own arguments, have exposed Sedevacantism as a false thesis, since it is rooted in private judgment which has no authority to decide such questions (of fact or law). They have correctly noted that the Catholic Church alone is the sole and final judge of both theological questions of fact (e.g., Was Dolan ordained with one hand or two? Is the Pope a heretic?) and questions of law (Does one hand suffice for ordination? Does a Pope lose his office for heresy? If so, when and how?). As we saw, on the question of fact, Dolan says: “The Church” “decides the facts” and “establishes the facts.” On the question of law, Sanborn and Cekada say: “The Church alone” is “the sole arbiter” on “matters of speculative theology,” and individuals have “absolutely no authority” to “usurp that teaching authority.” Again, we couldn’t have said it better. Once a person realizes the truth that these Sedevacantist clerics have themselves conceded, it is the end for Sedevacantism. But what Dolan declares to be “utterly contemptible and unspeakably evil,” when directed toward himself, are the very same methods he and his colleagues use to declare the conciliar Popes antipopes. It is also the exact same tactic they use to cast doubt upon the new rites of ordination and consecration that were approved by the Church (what Fr. Cekada declares “absolutely null and utterly void” was approved by Cardinal Ottaviani with no reservations). If “blackening” Dolan’s name by “attacking [his] ordination” is a mortal sin, how much more serious of a crime is it to blacken the name of virtually every priest who has been ordained in the new rite over nearly the past 50 years? But, of course, declaring that most of the Church’s priests are not true priests helps Bishop Dan Dolan and his partner Fr. Anthony Cekada maintain the survival of their own little sect at St. Gertrude the Great parish in West Chester, Ohio, since the scandalized sheep, who blindly follow them, will feel themselves to be trapped, imagining that they have nowhere else to go for valid sacraments. Such is the evil fruit of the evil tree of Sedevacantism. May those of goodwill see the hypocrisy of these men, and of the Sedevacantist position itself, which is refuted by the arguments of its own proponents. Letter from Fr. Kelly to Fr. Dolan, September 21, 1990, http://www.scribd.com/doc/ 246398985/1990-Letter-to-Dolan-on-One Handed-Ordination. We would also like to ask Fr. Dolan “what Holy Office” he is asking Fr. Kelly to petition, since both of them believe the post-conciliar Vatican hierarchy has completely defected from the Church, and thus there is no “Holy Office.” Funny how Dolan would appeal to an authority that both he and Kelly reject. It is evidently quite convenient for Dolan to appeal to Church authority when it will help his case, but it is the same authority that he actually rejects (or claims to reject) in his daily life. Fr. Dolan’s reply to Fr. Kelly, October 5, 1990. http://www.scribd.com/doc/24604978 3/DOLAN-S-REPLY. Letter of ‘the Nine’ to Abp. Marcel Lefebvre, (March 25, 1983; emphasis added), http:// www.traditional mass.org/articles/article.php?id=48&catname=12. 6 See our feature “Mario Derksen’s Elementary Error on Fact versus Law” at www.trueorfalsepope.com. 7 Fr. Dolan’s reply to Fr. Kelly, October 5, 1990. http://www.scribd.com/doc/24604978 3/DOLAN-S-REPLY.